The Ashes - cricket's most enduring rivalry, will resume on the morning of November 23 at the Gabba in Brisbane. Joe Root's England will have to show a lot of character if they wish to breach the home team's fortress of 'Gabbatoir' which is a ground where Australia haven't lost since 1988. The 70th Ashes series will take place at five separate venues before reaching its conclusion on 8th January at the iconic Sydney Cricket Ground. The Ashes is a game of forbearance and gumption but it also has had its fair share of controversy. 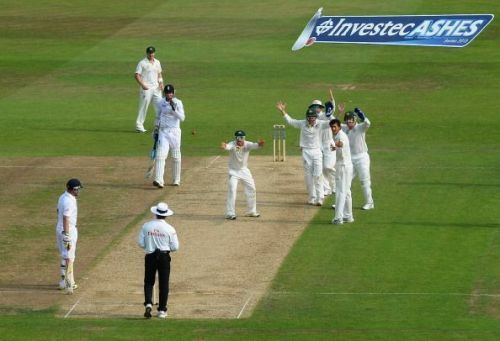 Here are five of the biggest controversies in the history of the Ashes. On the third day of the first Test in the 2013 series, Stuart Broad refused to walk out despite edging Ashton Agar's delivery to first slip. The lower-order batsman's edge settled into the hands of Australian skipper Michael Clarke at slip after rebounding off the thigh pad of wicket-keeper Brad Haddin. The visitors could have easily overturned umpire Aleem Dar's verdict with the use of technology. However, they had no reviews left after two failed attempts. At the time of the incident, Broad was not out on 37. He went on to add 28 runs as England secured a controversial victory by only 14 runs. Australian coach Darren Lehmann labelled Broad a 'blatant cheat'. The incident raised questions on the spirit of cricket and whether batsmen should walk even as arguments began to tilt both ways.